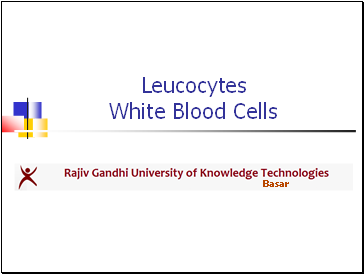 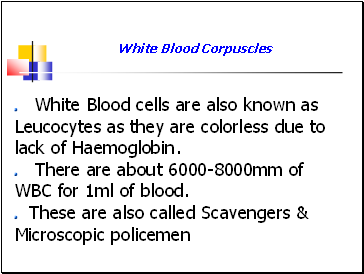 White Blood cells are also known as Leucocytes as they are colorless due to lack of Haemoglobin. 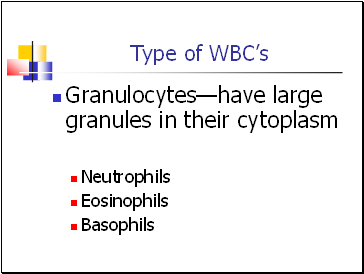 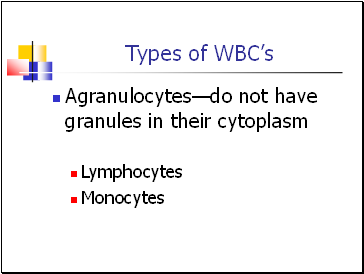 There are about 6000-8000mm of WBC for 1ml of blood. 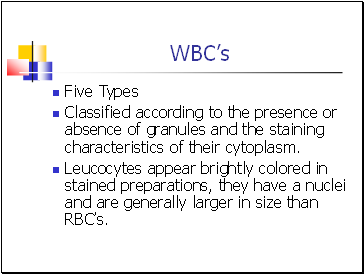 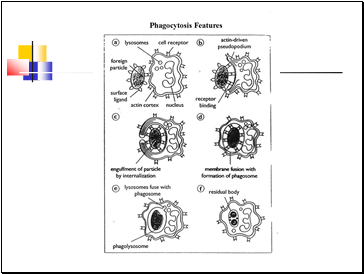 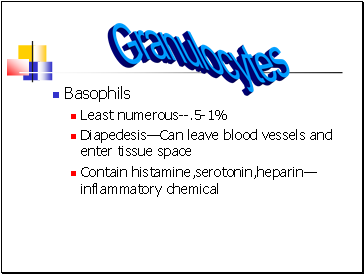 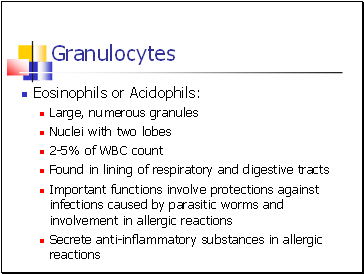 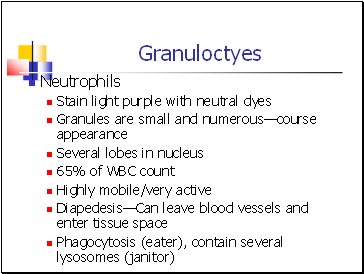 Classified according to the presence or absence of granules and the staining characteristics of their cytoplasm. 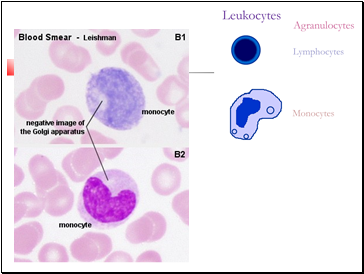 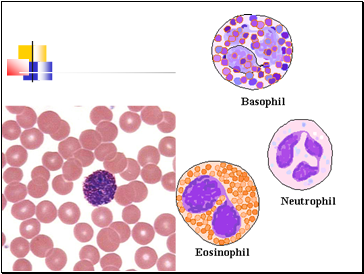 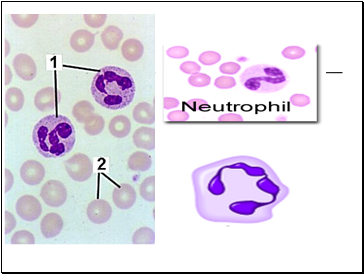 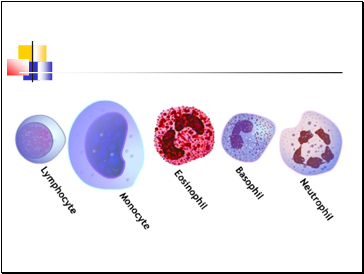 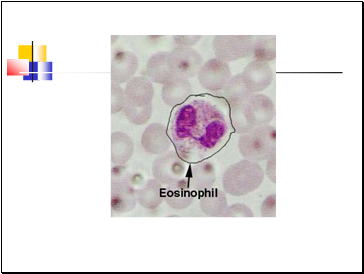 Leucocytes appear brightly colored in stained preparations, they have a nuclei and are generally larger in size than RBC’s.